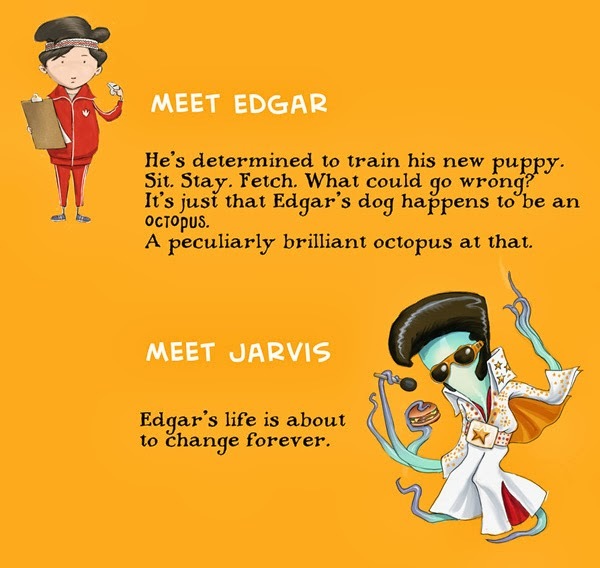 The Octopuppy is about a boy called Edgar who wants a dog. But he doesn't get a dog, he gets an octopus. These things happen. 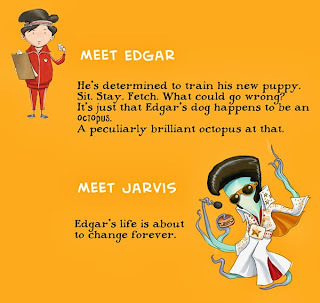 And not just any old octopus, mind you, but a very peculiar octopus by the name of Jarvis. Undaunted, and unimpressed by Jarvis's extraordinary abilities, Edgar is determined to continue with puppy training in preparation for the big dog show. With hilarious consequences, naturally. At least I hope so. I had a lot of fun drawing all the silly stuff Edgar & Jarvis get up to and found myself chortling as I drew things, which I thought must be a good sign. If I've entertained myself doing this, there's at least a chance I'll have entertained you as well, dear reader. When I say "you", on their site the publisher (Scholastic) states that the book is suited to readers aged 3-5. So if you're two years old and reading this, forget about it, kid, it's far too sophisticated you're gonna have to wait. And if you're six or older, you're over the hill; your weak, decrepit eyes probably can't even make out the dense text. Everybody else, come on in and join the party. They do say six is the new 40. I bought your book for a friend's 4 year old, but I - a 41 year old with a fondness for octopuses - enjoyed it so much I'm seriously thinking of buying a copy for myself. Thank you Jayne! I'm really delighted you enjoyed it.